Andrew McCabe resigned today - a mere few weeks before his expected departure date. Earlier today I surmised that it was because he's in trouble. Back in December of last year it was revealed much of his testimony was inconsistent with other testimony. That's troubling because Andrew McCabe's wife got a significant political donation from the Clinton Foundation via Terry McAuliffe. Follow the trail of breadcrumbs (or connect the dots if you prefer). (1) A key figure into the investigation into Hillary Clinton's email scandal and the supposed Trump-Russia collusion scandal was tied to the Clinton campaign at the hip pocketbook (read the full details there). The got a significant campaign donation, from the Clinton's albeit in such a way as to launder the money's source. What's worse they clearly tried to cover up any connection to each other. (2) Hillary Clinton gets in zero actual trouble for gross negligence, incompetence or worse, in terms of national security while she was head of the National Security Administration (the NSA). 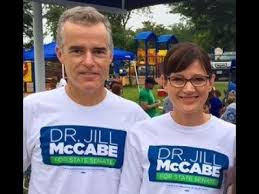 (3) Andrew McCabe offers worthless testimony (and worse, probably ensured that relevant evidence did not come to light) and McCabe's wife gets a generous campaign donation. That's the very definition of pay-for-play and not only is it unethical, I'm no legal expert but that has to be illegal. Congressional investigators tell Fox News that Tuesday’s seven-hour interrogation of Deputy FBI Director Andrew McCabe contained numerous conflicts with the testimony of previous witnesses, prompting the Republican majority staff of the House Intelligence Committee to decide to issue fresh subpoenas next week on Justice Department and FBI personnel. There is a lot of circumstantial evidence that favors were exchanged, criminally. And today, unexpectedly, Andrew McCabe is stepping down mere weeks ahead of schedule, and the day before president Trump was being urged to read the memo as part of the State of the Union address. UPDATE: It appears I'm not alone in my thinking. 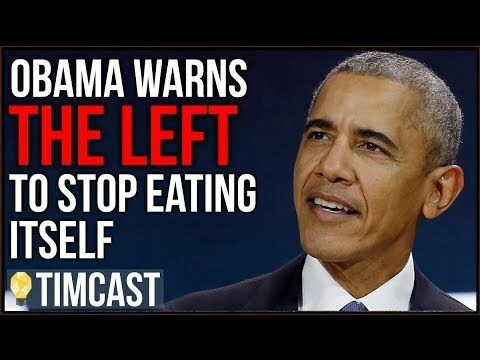 Gateway Pundit discusses the connections. Follow the timeline. Trump and Sessions have been leaning on Chris Wray to dump McCabe for awhile now, with Wray allegedly resisting to the point where he threatened to quit if they didn’t back off. Then, yesterday, he finally reads the Nunes memo. Now, 24 hours later, with the House set to vote on whether to release the memo, McCabe suddenly decides it’s time to end his career with the Bureau even though allegedly he had enough vacation time amassed to have done that weeks ago. Must be a juicy memo.